The points and miles we earn on credit cards are great for booking travel, but cash-back is king when it comes to flexible rewards that boost your financial bottom line. And because cash-back is one of the easiest types of rewards to earn and redeem, you’ll rarely hear anyone complain of having too much cash-back in their rewards account. You can always find an immediate use for cash-back earnings. While earning and redeeming can be simple, there are plenty of variables between cash-back credit cards (just like with cards that earn points/miles). For that reason, it takes some research to match up your own major spending categories to a credit card that earns the most cash-back on those purchases. Additionally, knowing how you’ll receive your cash-back rewards becomes important so you can plan how to maximize those funds. our recommendations for some of the best cash-back credit cards. Which Is Better: Earning Cash-Back or Points/Miles? Cash-back credit cards have relatively simple rewards-earning and redemption structures. You spend on your card and get a rebate on a percentage of your purchases in the form of cash-back. Some purchase categories earn more cash-back than others. For example, on one cash-back credit card you might receive 5% cash-back on office supply purchases, 3% cash-back on gas, and 1% on all other purchases. On another, the percentages and categories could be totally different — so selecting a cash-back credit card that rewards your greatest spending categories is key. There can also be limits on the amount of cash-back you can receive in a given category. Many cash-back credit cards offer introductory bonuses, such as $150 cash-back for spending $1,000 in the first 3 months after card approval. These bonus offers fluctuate and are specific to each card, but they can be another consideration when selecting your cash-back credit card. Additionally, how you receive your cash-back can differ. You may earn points that can be redeemed for cash-back, receive your cash-back automatically as a statement credit, or accumulate earned cash-back in a separate account. Let’s take a look at examples of some of the redemption processes you’ll see on different cash-back credit cards. Certain cash-back credit cards — such as the Chase Freedom Unlimited® — earn Ultimate Rewards Points that can be turned into cash. Cash-back credit cards such as the SimplyCash® Plus Business Credit Card from American Express automatically apply the earned cash-back as a statement credit. This card credits the cash-back 2 periods after it is earned, but other cash-back cards may have a different time period. There is no opportunity for accumulation and no manual redemption process. Cash-back credit cards such as the Discover it® Cash Back card allow the cash-back you’ve earned to accumulate in your account, so you can request to use it whenever you’re ready. Bottom Line: While it’s important to match up bonus category cash-back earnings on the credit card with your actual spending habits, you should also understand the process a cash-back card uses to distribute your cash-back earnings. Using your cash-back creatively can help fund your travel goals. Image created by Jennifer Hart from Wish Upon a Star. Is earning cash-back better than earning points/miles? This question is not easily answered, because the reward that is most valuable to you will be the one you can use to realize your goals. If travel is your goal, points and miles can get you where you want to go using award tickets, hotels, and offsetting travel-related purchases. While cash-back is undeniably flexible, you’ll need a strategy in place to collect the cash and apply it appropriately to those travel goals. For example, if your goal is to use your cash-back earnings toward a family Disney vacation, you may want to purchase Disney gift cards, restaurant gift cards, or gas cards with each cash-back distribution. This method works especially well if you’re using a cash-back credit card that applies the earnings as a statement credit automatically. However, note that cash-back earnings may have a fixed value, while points/miles might be transferred to airline/hotel partners and used creatively for increased value. Conversely, cash-back is extremely liquid, but it may be difficult to liquidate points/miles for exactly what you want when you want it. Bottom Line: Whether earning cash-back or points/miles is better for you depends on what you plan to do with the rewards and your spending priorities. If travel is not your priority, but having a little extra cash flow would help your financial bottom line, a cash-back credit card may be a good option. Earning cash-back rewards on a credit card that doesn’t charge an annual fee gives you a jump start on earnings, because you don’t have to spend at a certain level to earn enough cash-back to offset that annual fee. 5% cash-back at different places each quarter like gas stations, grocery stores, restaurants, Amazon.com, or wholesale clubs up to the quarterly maximum each time you activate. 1% cash-back all other purchases. Hot Tip: Selecting a cash-back credit card that doesn’t charge an annual fee means all the cash-back dollars are yours to keep right from the start, and you won’t have to use those funds to pay an annual fee. Cash-back credit cards with 0% APR periods for purchases can help you finance a cruise vacation with no interest charges. Image courtesy of Shutterstock. A cash-back credit card with a 0% APR period for purchases and/or balance transfers can save you significant money on new purchases and high-interest credit card balances. For example, if you make a large purchase, you can pay it off over time during the 0% APR period and not be charged any interest. 0% APR credit cards can also be great for transferring a high-interest credit card balance and getting 12-18 months free from any interest charges while you repay that debt. Paying off your balance prior to the 0% APR period expiring is paramount, as you will incur significant interest charges beyond that point on any balance remaining. Access our complete guide to 0% APR credit cards for more information on how interest-free credit cards work. Hot Tip: A cash-back credit card with a 0% APR period can help you reach your travel goals when used creatively. For example, with the Discover it® Cash Back card, you could charge a deposit for a cruise 18 months out and make payments without interest during the 14-month 0% APR period. At 12 months, you would receive your cash-back matched and could use those funds to help pay off the remaining balance. Some cash-back credit cards change their bonus spending categories on a quarterly basis and require you to register each quarter to earn the 5% cash-back bonus. While registering every quarter may seem like extra effort, doing so ensures you’ll earn up to $300 cash-back annually on each card. Each of these cards also has potential for all the cash-back you earn to be much more valuable than the initial $300. Plus 1% cash-back on all other purchases. Chase Ultimate Rewards Points that are earned on the Chase Freedom® card can be transferred to any Chase premium card (such as the Chase Sapphire Preferred® or the Chase Sapphire Reserve®), and you can receive up to 50% more value when redeemed for travel. The Discover it® cards all offer a cash-back match at the end of the first card anniversary year, meaning all of the cash you earned in your first year is matched and added to your account. A real plus is that none of these cards charge an annual fee! A business cash-back credit card serves the essential purpose of separating business expenses from personal expenses. Earning cash-back while paying for business purchases allows you invest those dollars right back into your business. 5% cash back on wireless telephone services purchased directly from U.S. service providers and U.S. office supply stores. Custom select a 3% cash-back bonus category matching your most significant expenses from 8 choices including advertising and shipping. Bottom Line: There are plenty of cash-back rewards-earning credit cards designed specifically for business use, so you don’t have to pay a high annual fee to find one that earns cash-back on your business spending. Spending on bonus categories that earn 5% cash-back or more helps your earnings add up quickly. Image courtesy of creditcards.chase.com. Earning 5% cash-back or better on a credit card is a decent return that accelerates your earnings. If your biggest expenditures match up with any of these 5% bonus spending categories, you may want to investigate the corresponding cash-back credit card further. Let’s take a look at cash-back credit cards that earn 5% or more. 6% Cash Back at U.S. supermarkets (on up to $6,000 per year in purchases, then 1%). For rates and fees of the Blue Cash Preferred® from American Express, please click here. 5% cash back on wireless telephone services purchased directly from U.S. service providers and U.S. office supply stores. Terms. Cash-back credit cards with quarterly rotating cash-back categories (such as the Chase Freedom® card and the Discover it® Cash Back card) also earn 5% cash-back in specific categories — but these cards have quarterly limits of $1,500 in purchases. There are actually very few rewards-earning credit cards for consumers with bad credit or no credit history. For this reason, a secured credit card that helps build or rebuild credit and ALSO comes with the extra benefit of earning rewards is a real positive and rare find. Here are 2 secured credit cards for bad credit or no credit that also earn cash-back. Secured credit cards require a security deposit that is held with the card issuer, and your credit limit is subsequently set at the same amount. For example, if the credit card requires a $500 security deposit, this will usually be the amount of your credit limit. 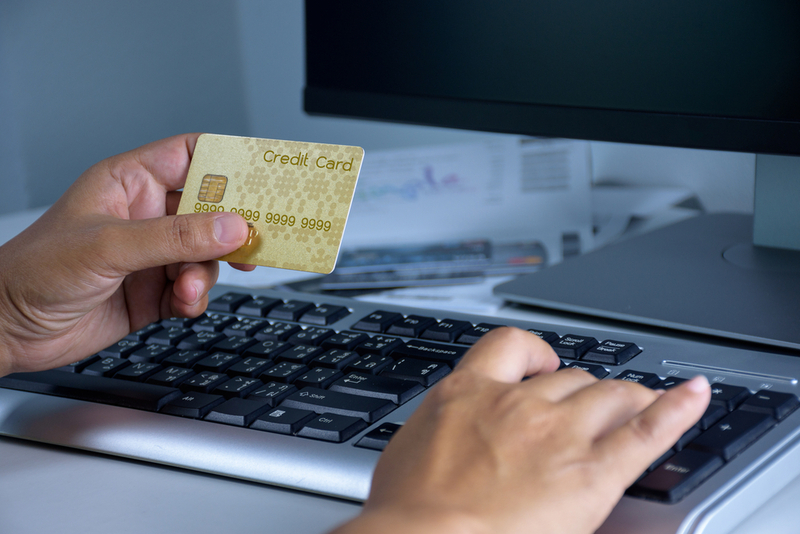 You can learn all about secured cards, how they work, and their requirements/benefits in our complete guide to secured credit cards for bad credit and no credit. Credit cards that earn cash-back rewards are great for those consumers who pay off their credit card balances each statement period. Carrying over a balance and being charged interest would dissolve any benefit of earning cash-back. Also, we don’t focus on sign-up bonuses for cash-back cards because they’re constantly changing — but these initial bonuses can help you jump start your cash-back earnings and should definitely be considered when selecting a cash-back credit card! Cash-back credit cards give you a rebate back on your purchases. For example, if you make a purchase of $100 on your cash-back credit card and the cash-back percentage is 3%, you’ll receive $3 cash-back on that purchase. The cash-back may be received as a statement credit or accumulate in an account until you redeem it. Cash-back percentages differ between cards and also by category. You may receive 3% cash-back on purchases at gas stations or 2% cash-back on dining, for example. There may also be limits on how much cash-back you can receive. The best way to maximize a cash-back credit card is to select a card that rewards the purchases on which you spend the most. Which cash-back credit card is the best? The best cash-back credit card for you is the one that earns the most in the category of purchases on which you spend the most. If you spend a lot at grocery stores, for example, you might consider a cash-back card that rewards those purchases, such as the Blue Cash Everyday® Card from American Express that pays 6% back on up to $6,000 in purchases per year. How do you get the cash-back? Each cash-back credit card has its own specific process for delivering the cash-back you have earned on the card. One card may apply the cash-back automatically as a statement credit, while another may deposit it into an account attached to your credit card and let you request it manually by logging into your account. Some cash-back credit card issuers will transfer the cash to your bank account or send you a paper check. It’s good to know up front how a cash-back credit card you’re considering delivers the cash-back so you can plan accordingly. Is there a limit to how much cash-back you can earn? Each cash-back credit card has limits on how much cash-back you can earn, but many allow unlimited earnings on the lower 1% cash-back purchases. On higher cash-back percentage purchases, card issuers may have limits on the amount of purchases that can receive 5%, 3%, or even 2% cash-back. For example, the Blue Cash Everyday® Card from American Express offers 6% cash-back on purchases at grocery stores, but limits the amount of purchases to $6,000 annually.